Propaganda poster dating from the Second World War with a colour reproduction of a work by Norman Wilkinson showing a merchant ship sinking by the stern observed by survivors in a lifeboat at right foreground. 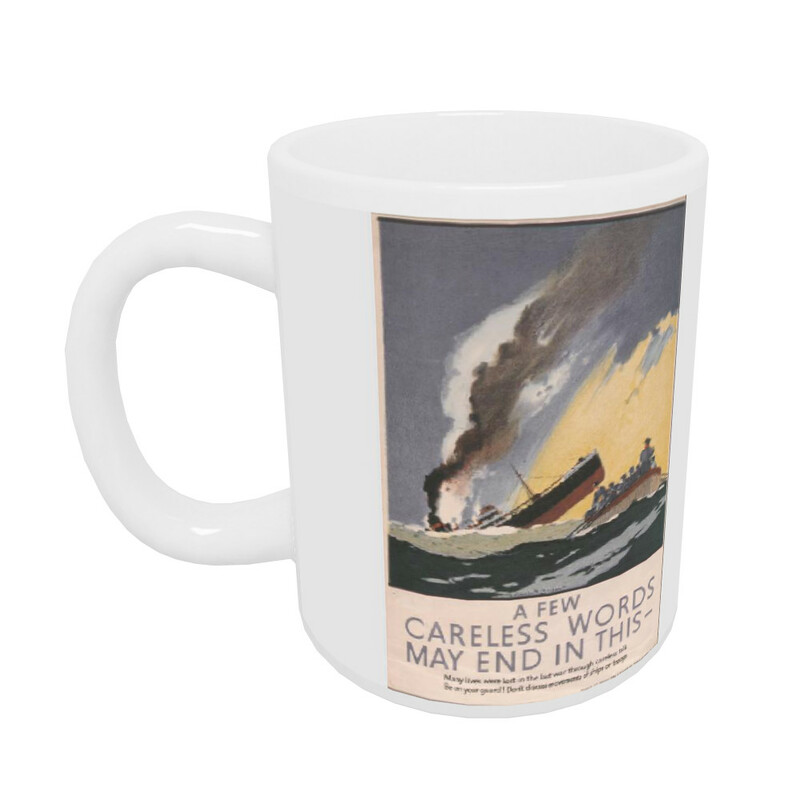 This A Few Careless Words May End in This Mug is created using state of the art, industry leading Digital printers. The result - a stunning reproduction at an affordable price.